[R]ecent empirical studies concur that the subjunctive had virtually become extinct in both varieties; rather than witnessing its delayed demise in AmE, we are observing its revival in AmE and --- though at a slower pace --- also in BrE . . . . The trajectory of change takes the form of a successive decline from Old English to Early Modern English, ranging from a relatively wide distribution in Old English, with competition between indicatives and modal periphrases (e.g. scolde + infinitive), via a reduction of formal marking in Middle English (when the indicative preterit plural -on and subjunctive preterit plural and past participle of strong verbs -en were fused and final unstressed -e was lost), to rare instances in Early Modern English. It is only at the end of the LModE period that the subjunctive re-established itself and "nothing less than a revolution took place" . . . .
・ Crawford, William J. "The Mandative Subjunctive." One Language, Two Grammars: Grammatical Differences between British English and American English. Ed. Günter Rohdenburg and Julia Schlüter. Cambridge: CUP, 2009. 257--276. ・ Hundt, Marianne. "Colonial Lag, Colonial Innovation or Simply Language Change?" One Language, Two Grammars: Grammatical Differences between British English and American English. Ed. Günter Rohdenburg and Julia Schlüter. Cambridge: CUP, 2009. 13--37. ・ Kjellmer, Göran. "The Revived Subjunctive." One Language, Two Grammars: Grammatical Differences between British English and American English. Ed. Günter Rohdenburg and Julia Schlüter. Cambridge: CUP, 2009. 246--256. ・ Övergaard, Gerd. The Mandative Subjunctive in American and British English in the 20th Century. Stockholm: Almqvist & Wiksell, 1995. ・ Schlüuter, Julia. "The Conditional Subjunctive." One Language, Two Grammars: Grammatical Differences between British English and American English. Ed. Günter Rohdenburg and Julia Schlüter. Cambridge: CUP, 2009. 277--305. ・ Mondorf, Britta. "Late Modern English: Morphology." Chapter 53 of English Historical Linguistics: An International Handbook. 2 vols. Ed. Alexander Bergs and Laurel J. Brinton. Berlin: Mouton de Gruyter, 2012. 843--69. On the whole . . . American English is essentially a conservative development of the seventeenth-century English that is also the ancestor of present-day British. Except in vocabulary, there are probably few significant characteristics of New World English that are not traceable to the British Isles. There are also some American English characteristics that were doubtless derived from British regional dialects in the seventeenth century, for there were certainly speakers of such dialects among the earliest settlers, though they would seem to have had little influence. The majority of those English men and women to settle permanently in the New World were not illiterate bumpkins but ambitious and industrious members of the upper-lower and lower-middle classes, with a sprinkling of the well-educated---clergymen and lawyers---and even a few younger sons of the aristocracy. It is likely that there was a cultured nucleus in all of the early American communities. Such facts as these explain why American English resembles present standard British English more closely than it resembles any other British type of speech. The differences between the two national varieties are many but not of great importance. ・ Algeo, John, and Thomas Pyles. The Origins and Development of the English Language. 5th ed. Thomson Wadsworth, 2005.
. . . just as the British Empire was not only the greatest, but also the most enlightened and humane of colonial powers, so the American Revolution was the most conservative and least radical of revolts in its social consequences. And the linguistic consequences of the Revolution were also in many ways conservative. The colonies had begun lexical innovation early, but they were also old-fashioned and conservative in many aspects of grammar (such as the participle gotten) and pronunciation (such as the rhotacism and "flat" a in words like path), as well as in some word choices (fall for the season). ・ Algeo, John. "External History." The Cambridge History of the English Language. Vol. 6. Cambridge: CUP, 2001. 1--58.
. . . it has often been maintained that transplanting a language results in a sort of arrested development. The process has been compared to the transplanting of a tree. A certain time is required for the tree to take root, and growth is temporarily retarded. In language, this slower development is often regarded as a form of conservatism, and it is assumed as a general principle that the language of a new country is more conservative than the same language when it remains in the old habitat. In this theory there is doubtless an element of truth. . . . And it is a well-recognized fact in cultural history that isolated communities tend to preserve old customs and beliefs. To the extent, then, that new countries into which a language is carried are cut off from contact with the old, we may find them more tenacious of old habits of speech. Contrary to what has usually been attributed to the phenomenon of colonial lag, the subsequent rate of change was more rapid in the colonies. By and large, the colonists' writings seem to reflect the spoken language of the period more faithfully than do the writings of their contemporaries in Britain. In this respect, speaker innovation, rather than conservative tendencies, guided the development. ・ Kytö, Merja. "Third-Person Present Singular Verb Inflection in Early British and American English." 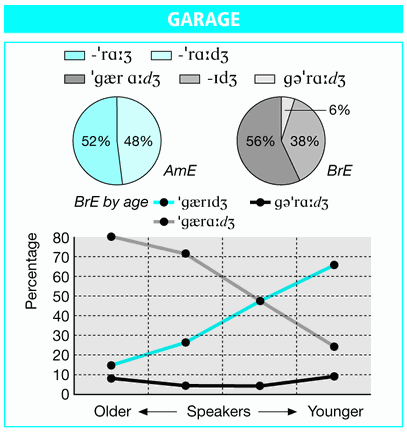 Language Variation and Change 5 (1993): 113--39. The idea that in isolated places somewhere in the country people still use 'Elizabethan' or 'Shakespearean' speech is widely held, and it is probably one of the hardier cultural beliefs or myths in the collective American psyche. Yet it lacks a definitive version and is often expressed in vague geographical and chronological terms. 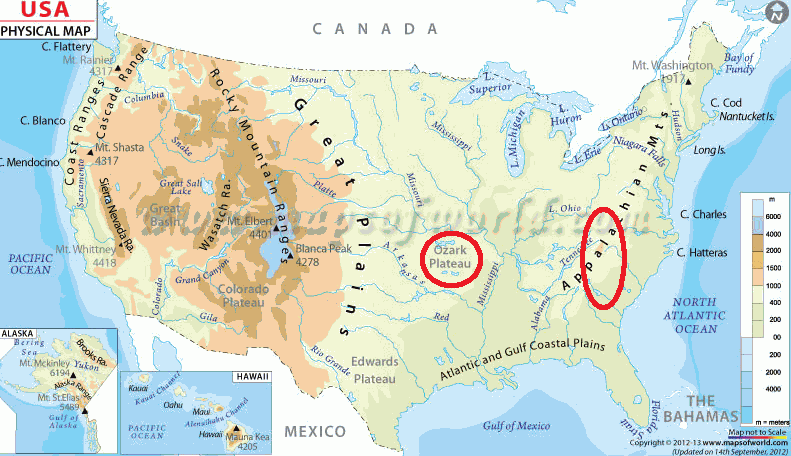 Since its beginning in the late nineteenth century the idea has most often been associated with the southern mountains --- the Appalachians of North Carolina, Tennessee, Kentucky and West Virginia, and the Ozarks of Arkansas and Missouri. At one extreme it reflects nothing less than a relatively young nation's desire for an account of its origins, while at the other extreme the incidental fact that English colonization of North America began during the reign of Queen Elizabeth I four centuries ago. Two things in particular account for its continued vitality: its romanticism and its political usefulness. Its linguistic validity is another matter. Linguists haven't substantiated it, nor have they tried, since the claim of Elizabethan English is based on such little evidence. But this is a secondary, if not irrelevant, consideration for those who have articulated it in print --- popular writers and the occasional academic --- for over a century. It has indisputably achieved the status of a myth in the sense of a powerful cultural belief. Advancing the idea, improbable as it is, that mountain people speak like Shakespeare counters the prevailing ideology of the classroom and society at large that unfairly handicaps rural mountain people as uneducated and unpolished and that considers their language to be a corruption of proper English. ・ Montgomery, Michael. "In the Appalachians They Speak like Shakespeare." Language Myths. Ed. Laurie Bauer and Peter Trudgill. London: Penguin, 1998. 66--76. ・ Wells, J C. ed. Longman Pronunciation Dictionary. 3rd ed. Harlow: Pearson Education, 2008. ・ Görlach, Manfred. "Colonial Lag? The Alleged Conservative Character of American English and Other 'Colonial' Varieties." English World-Wide 8 (1987): 41--60. ・ McKnight, George H. "Conservatism in American Speech." American Speech 1 (1925): 1--17. ・ Mencken, H. L. The American Language. One vol. ed. Ed. R. I. McDavid, Jr. New York: Knopf, 1977. ・ Krapp, G. P. "Is American English Archaic?" Southwest Review (1927). 292--303.